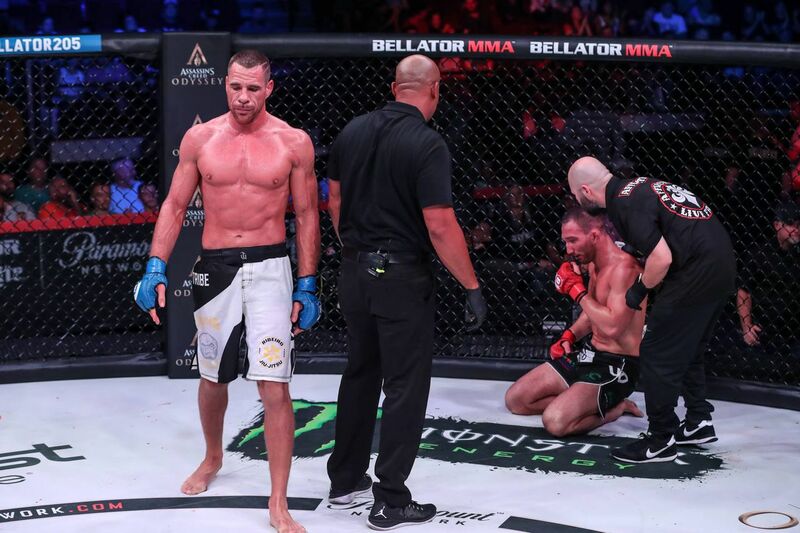 Rafael Lovato Jr. won’t be fighting at Bellator 214. MMA Fighting confirmed with officials that the undefeated middleweight title contender has been removed from Bellator’s upcoming Jan. 26 show set to take place at The Forum in Inglewood, Calif. The news was first reported by MMAjunkie. Lovato was originally scheduled to challenge Gegard Mousasi for his Bellator championship in the evening’s co-main event, but Mousasi was reported as a scratch in December due to a back injury. With officials unable to find a replacement to fight Lovato, a featherweight bout between Aaron Pico and Henry Corrales has been promoted to the Bellator 214 co-headlining spot. Also on the main card, heavyweight Jake Hager — an NCAA All-American wrestler better known as former WWE Superstar “Jack Swagger” — will make his MMA debut against J.W. Kiser, and bantamweights Juan Archuleta and Ricky Bandejas square off. Bellator 214 will air live on Paramount Network and on the DAZN streaming service.